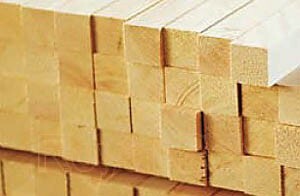 The timber, used in construction, is Bulgarian softwood – mainly spruce and pine, dried in advance according to the standard. Wooden beams with a certain diameter and length – they vary depending on the thickness of the walls, in accordance with the project. For joining them special assemblies are used – carpentry and metal, which together ensure mechanical stability of the structure. 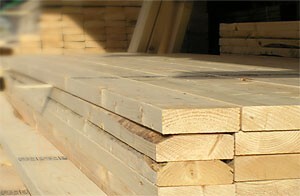 In the first place, beams with different sizes, shingles, boards, OSB boards and plywood. For aesthetic view of the panels, both facade and interior, the wooden or plywood sheathing are applied. Boards may be of Bulgarian or imported exotic wood. Stained, painted or varnished, the wood gives a unique, cozy and beautiful appearance of the walls of the house. 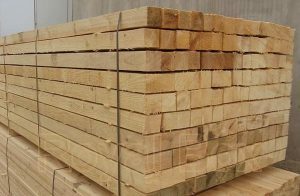 The timber must be impregnated at the factory with insecticidal and fungicidal chemicals that protect it from rot, carpenter ants, fungi and molds. Mineral wool is made from volcanic rock and that is why it is often called rock wool and has unique properties: thermal insulation, fire resistance, water resistance, sound absorption, dimensional stability. Unlike other insulation materials they are vapour-penetrable, easy to operate and install. Their production is ecologically clean. Practically they do no rot. Their only drawback is that they absorb moisture. However, this drawback is eliminated in the production phase through implementing measures for preventing the moisture access to them. Due to its exceptionally good thermal insulation coefficient, façade wool achieves 15% better thermal insulation than standard polystyrene plates (EPS) of the same thickness. thermal insulation: λ = 0,036 W/mK. Plywood is a product obtained by gluing three or more sheets of unwrapped veneer in orthogonal directions of the wood fibers. 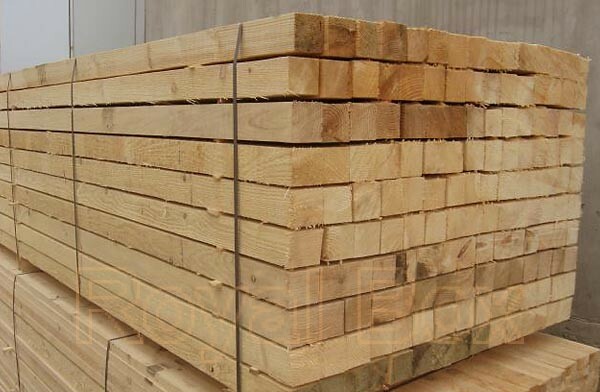 The phenol formaldehyde resin, used as an adhesive connection, makes the gluing of veneer sheets highly resistant to weather, micro-organisms, cold and hot water. The inter-orthogonal direction of the fibres of individual veneer sheets guarantees the exceptionally good mechanical properties of the plywood panel such as: strength and stability, high resistance to shock, vibration and pressure. Plywood reacts to temperature influences much better than metals and plastic. It tolerates cold significantly better than heat. The temperature range, which can be used without any changes in its appearance and mechanical properties, is larger than 100 °C. 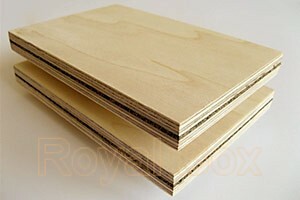 Plywood is suitable material for sound insulation. The effectiveness of the insulation depends on the thickness of the insulating material and plywood has better density-sound insulation ratio than other materials. Veneered plywood is also produced – it is a poplar plywood, veneered with cut veneer of precious wood species – walnut, ash, cherry, etc., which can be used as a finishing interior solution for walls and ceilings. 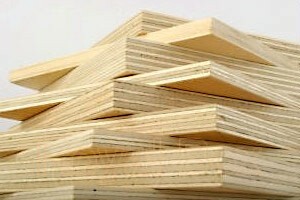 Plywood humidity: 10 ± 2 %. Class of formaldehyde emission: E1. 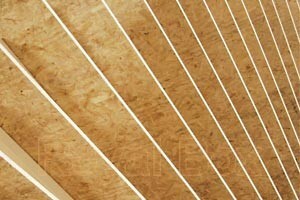 OSB panels are slabs of pressed oriented wood strand. 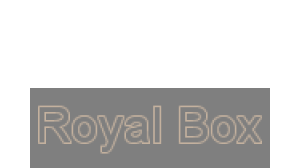 Available are KRONOSHPAN OSB boards for use in dry environments and OSB3 boards for use in wet environments. 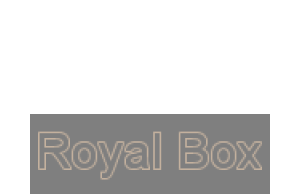 OSB boards are characterized by high elasticity and bending strength. 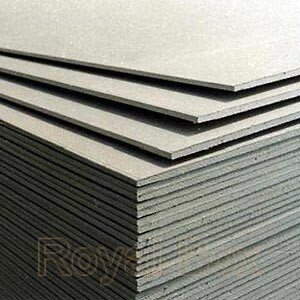 Plasterboard consists of gypsum boards whose surfaces and edges lengthwise are dressed with special resistant cardboard. In wet areas plasterboard with green colour is used, in which the gypsum core is specially impregnated against water absorption. Gypsum is an excellent material in relation to its tolerance with the human body. It has the same pH as human skin, no smell and is absolutely harmless. Gypsum regulate humidity in closed spaces, as it consists of many small pores which in the presence of moisture in the air take it and in case of shortage, they give it out. Gypsum has good heat insulation, sound insulation and fire resistance. Gypsum boards are warm when touching and give a feeling of cosiness. 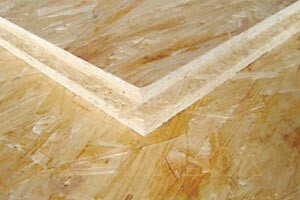 Gypsum fiber is a building board and consists of a compressed mixture of gypsum and cellulose fibers. Its surface is specially impregnated against water absorption. It lacks the special cardboard, in which plasterboard is packed. Gypsum fiber combines qualities of different types of plasterboard for greater strength. Gypsum fiber can be used for cladding of external walls, construction of wet rooms, isolation of chimneys and more. 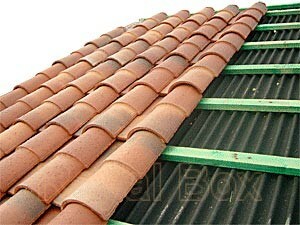 The classic roof is performed with ceramic roof-tiles. Their service life can reach 100 years, the producers give a warranty of 20 to 50 years. Ceramic roof-tiles are relatively heavy roof elements with mass around 45-65 kg/m2, thus requiring an increase of the number and the section of the beams of the roof structure. They are available in a variety of forms: two-wave, one-wave, flat and others. Another commonly used roof material is onduline – Corrugated bitumen sheets. They are impregnated with bitumen corrugated sheets. 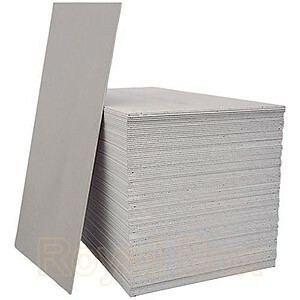 The service life of corrugated sheets is more than 40 years, at 15 years warranty from the manufacturer. They are installed quickly and easily and the color of the coating can be red, green, brown and black. Bitumen sheets are unbreakable, withstand high temperatures (up to 110 ° C) and are relatively light – about 3 kg/m2. When choosing the type of roofing, it is necessary to take into account a number of technical, economic and environmental criteria. Installation of lightning conductors, solar collectors, antennas and chimneys should be considered. It is desirable to insulate the approaches to the attic against birds and rodents. It is possible to use bitumen tiles, metal tiles, concrete tiles, and polymer-sand tiles and roof slabs of natural stone (slate).